Lucidity is all about spreading knowledge. Not only are there about 220 workshops scheduled during the festival, but you can dive even deeper into the subject of your choice during Lucid University Courseweek, held April 2nd – 5th. Courseweek offers participants four different educational tracks from knowledgeable teachers. This year, students in the InnovationWorks track will be learning about creating “big art” installations from Fez Gaetz and getting some hands on experience by helping him build the Lighthouse, a new Lucidity featured area that will be a gathering place for teens. 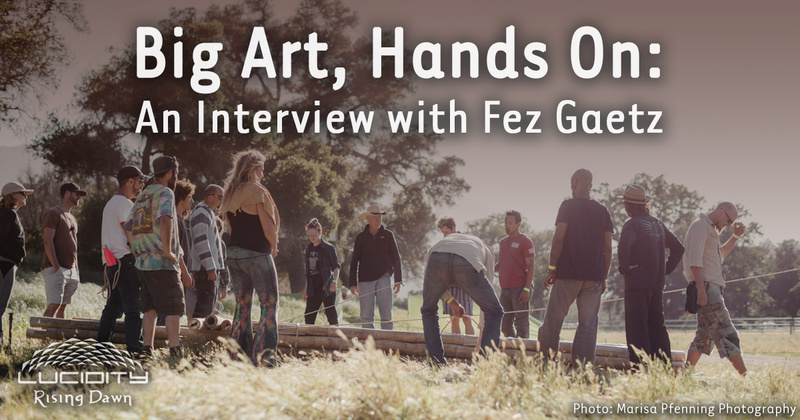 Fez is the founder of Alchemy Arts, a collective that brings large sculpture art and stages to festivals around the world. He started out building while apprenticing as a building contractor for his father. Later in life he came to learn about natural building methods, including working with clay, straw, sand, and upcycled materials. He found himself much more drawn to these methods of building, and decided to couple them with artistic sensibilities. For those wanting to know a bit more about the course, called Building the Lighthouse: Big Art at Lucidity, we sat down with Fez to ask some questions about what participants can expect from the experience. The InnovationWorks Course is open to all ages and all levels of experience. 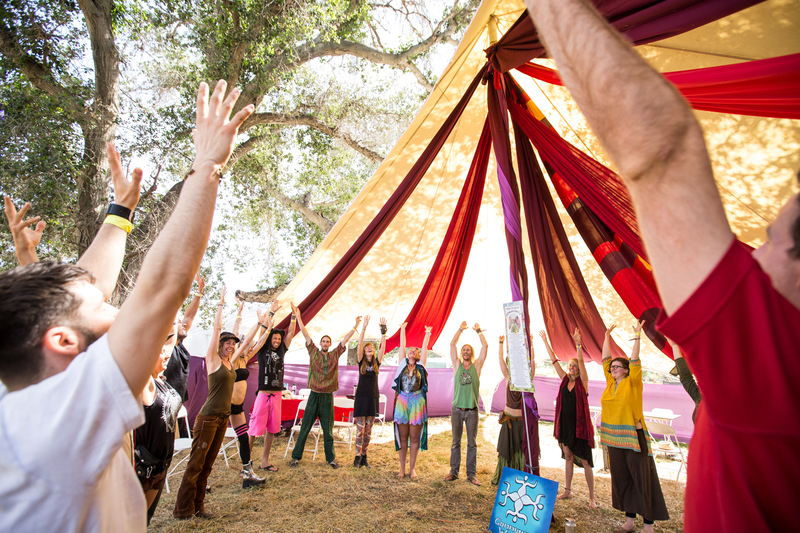 This course is able to engage beginner to expert as we construct a “Big Art Sculpture” for Lucidity this year. InnovationWorks has a large hands on portion which involves building the Lighthouse structure, a new hub for the teen village at Lucidity. What other learning styles will be incorporated into this course and how much is learning vs doing? While we have many aspects to cover for our CourseWeek curriculum, most of the days are hands on work to achieve our goals. To begin, we are focusing on the design aspects and why we have chosen certain materials over others, having open conversations around design and our process to create this piece. Each day we’ll look at the details going into the structures around the festival, discussing their assembly process and learning from many projects at a time. Over the course of our creation, we’ll continue to talk theory, as well as stages of project management. Over the whole of the experience, students will walk away with hands on skills, work with assorted power tools, and learn about design aspects, layouts, materials and their load capabilities, structural framing, metal work, and decorative treatments and finishes. Can you tell us a little about how you are sourcing materials for the Lighthouse? Are any of these upcycled materials? Almost all of the material is being upcycled from previous works. 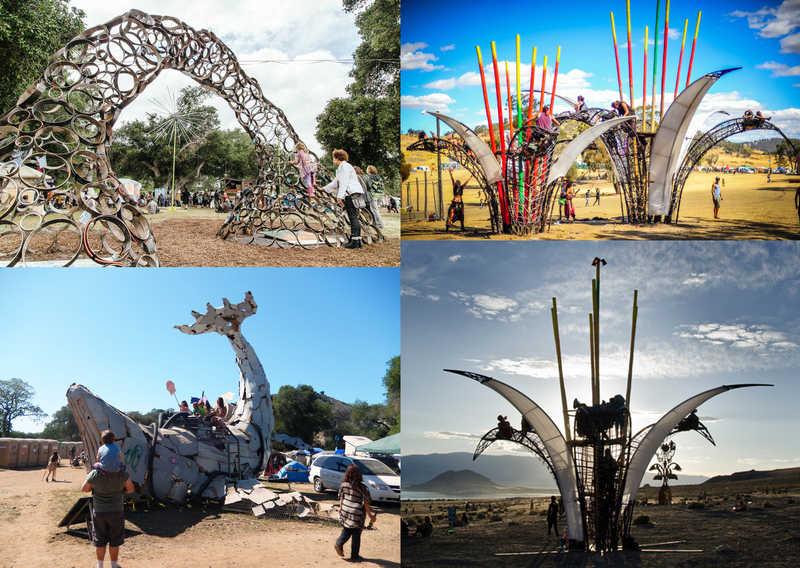 Lucidity Festival has sourced parts and pieces from pieces such as a “Boiler Room,” large lily flower sculptures, and components from the “Walkabout Woods” trees. 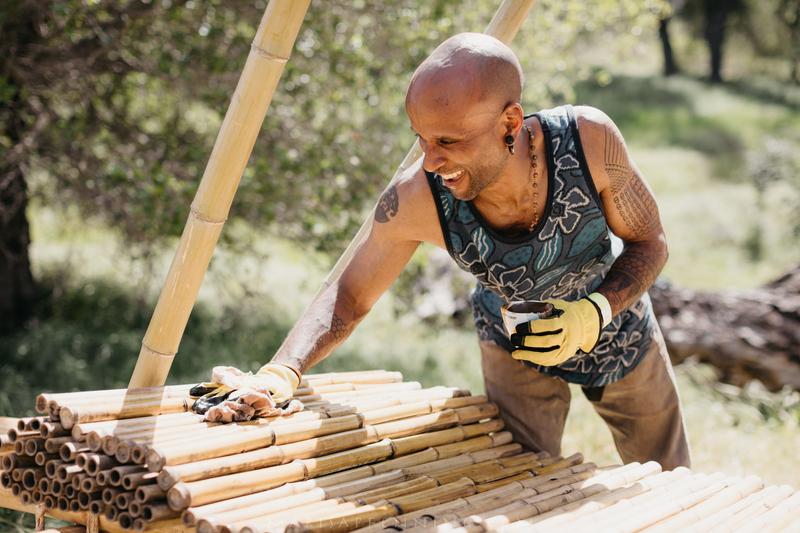 Other elements will begin a long journey through many art installations over the next few years, as Lucidity is receiving a fresh shipment of Guagua Bamboo. We are working closely with the one-and-only Dave Moore and his crew local crew of “upcycling wizards” to find materials within the greater Santa Barbara area that can be repurposed into new structures. Why is Upcycling an important part of this project? How does reusing/repurposing materials balance the industrialized, waste producing world we live in? I feel like this is a topic that has many answers and viewpoints from virtually anyone who has asked. When we can alter the mindset of a “single use” society and lessen the impact of our actions towards using only new materials, we are able to reduce the stress put on natural systems by industry. There’s a certain kind of appreciation when you are able to use portions of previously built forms, and transition them into new works, thus extending the life and story of that medium. What do you find most inspiring about this type of work? It’s the creative process. What lights my fire is to take an idea from its inception to its actuality. The creativity of the dream coming to reality. Through variations of material, disciplines, and desired outcome, the journey from start to finish is a learning experience every time. What I find most attractive about this kind of work is using my hands and knowledge simultaneously, while living in a continual exploration. What scarcities in the world does this course address? How can we build a stronger future with the knowledge imparted in the InnovationWorks track? While living in a day and age where technology is rapidly growing, peeking around the corner of automation directly impacting our everyday lives, we are losing touch with the skills we were taught from a young age, or those bits of knowledge held by our ancestors. I think the largest scarcity, and the reason so many gatherings and festivals are as popular as they are, is simply put, the feeling of being connected to something, someone, even ourselves. What tangible skills will participants of this course come away with? Through the Courseweek offerings participants will be a part of the project, getting tactile experience combined with furthering their knowledge. We’ll learn the art of crafting proposals, making budgets, and creating timelines. 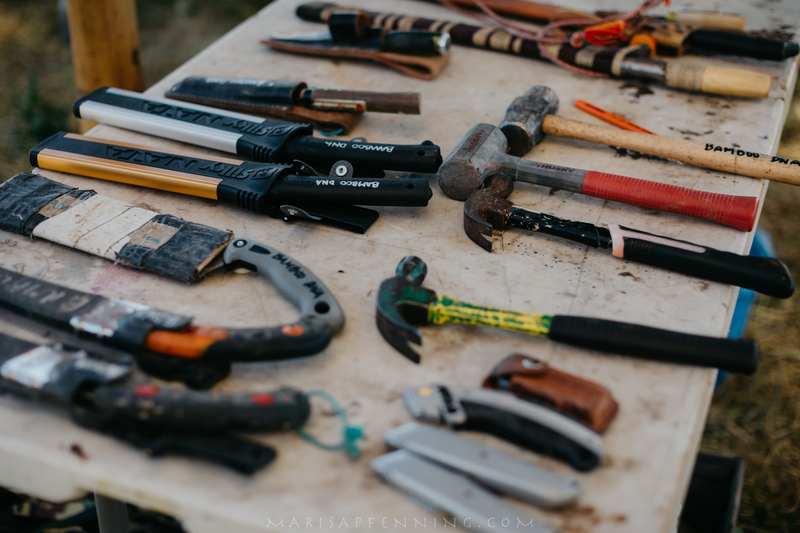 We’ll focus heavily on teamwork, skill sharing and safety around tools, expanding our knowledge through experience and broadening our imaginations, and we’ll exercise our creative muscles to keep them humming. It’s not too late to join in CourseWeek. Visit our page on this year’s courses to learn more about the program and buy your tickets.